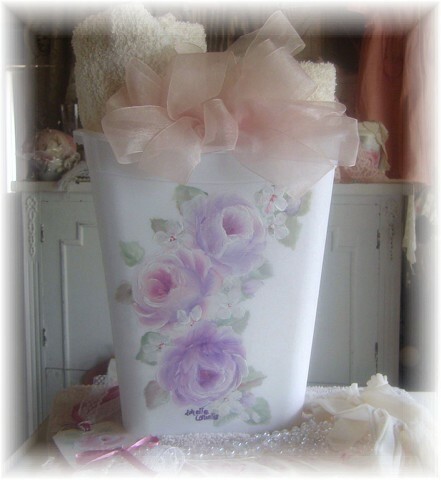 Chic in shades of lavender,, So pretty hand painted cottage white waste basket. 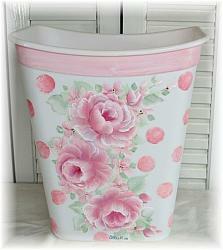 Great in a bathroom, a guestroom, or your office. It is appx. 11'' tall, signed, Sheila Cottrell.